Kane Smego is a spoken word and hip hop artist, a National Poetry Slam finalist, and co-founder of the youth arts and education nonprofit Sacrificial Poets. He is also an international touring artist, performing and teaching all across the U.S. and abroad in Europe, Africa, Central and South America, the Middle East, and Southeast Asia. In 2011, Kane helped create and lead the Poetic Portraits of a Revolution (PPR2011) project that traveled to Egypt and Tunisia to collect stories of the popular revolutions and adapted them to spoken word poems that were broadcast in an eight-week radio series on the National Public Radio affiliate WUNC, developed by The Process Series into a full-length theatrical performance, and produced by StreetSigns at The ArtsCenter Carrboro. In 2013, he co-instructed a college course on Spoken Word and Oral History at the University of North Carolina at Chapel Hill and in 2015 Kane was selected to work with Next Level, a Hip Hop cultural diplomacy and education project that sends teams of Hip Hop artists to perform and teach all over the world. After serving as an artist on Next Level Zimbabwe, Kane returned to the program as the Site Manager for Next Level Thailand 2016, and headed up Next Level Brazil 2017 in Río de Janeiro. Kane has toured with the legendary Black Ice from Def Poetry Jam, and was featured on the Grammy-award winning rapper King Mez’s debut album, My Everlasting Zeal, alongside such accomplished artists as Lupe Fiasco’s producer, Soundtrakk, and Grammy Award-nominee J. Cole. He has been a presenter at TEDX UNC 2012, the Shriver Report Live hosted by Atlantic Magazine, and has been a keynote speaker at the Global Young Leaders Conference, the National Association of Social Workers annual convention. 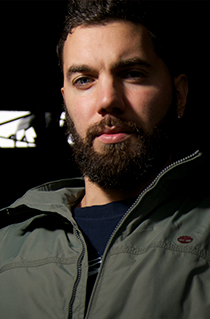 Kane is the co-founder and former Artistic Director of the nonprofit Sacrificial Poets. He is also the primary author of the youTHink curriculum that uses poetry and Hip Hop to help youth and adults tell their own stories, and challenges them to transform themselves and their communities through the use of the spoken and written word. He has taught writing and performance at schools across the country since 2008, leading youth of all ages in exploring their identity through poetry and storytelling.